Global issues such as climate change and energy security have driven rapid growth in renewable energy production – wind, solar, tidal, geothermal, hydro, biofuels etc. 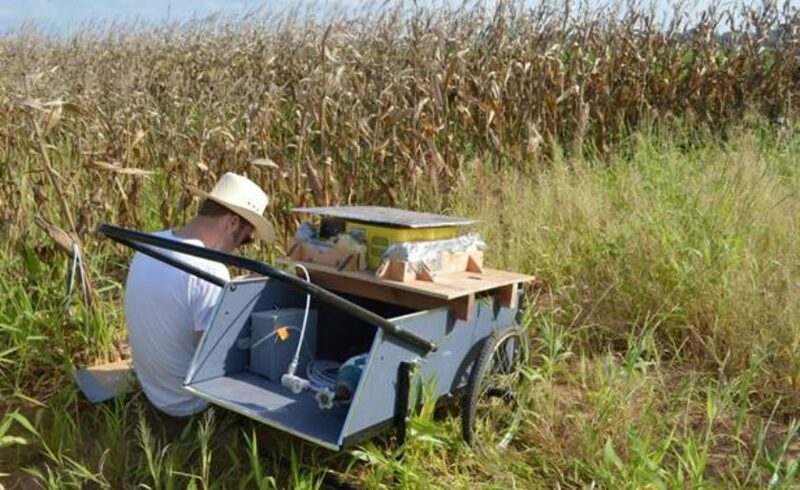 However, logically, each of these methods should deliver a net benefit in terms of greenhouse gas (GHG) reduction, so researchers in the United States have employed portable FTIR analysers to study the GHG emissions of biomass production processes. “It would be futile to manufacture biofuels in an attempt to mitigate climate change if the production process created more GHGs than were saved by using biofuels instead of fossil fuels,” says Dr. Joe Storlien from the Texas A&M University Department of Soil & Crop Sciences. Agronomic management practices (fertilization, crop rotation, organic residue management, etc.) can affect the amount and type of GHG emissions that are lost from the soil. The researchers therefore studied the management production scenarios that are employed to produce bioenergy crops in order to determine which scenarios provide the greatest sustainable long-term yields and simultaneously minimise GHG emissions. The study analysed both direct GHG emissions (arising from the field trial itself) and indirect GHG emissions (arising from the production and delivery of trial inputs – such as tillage, planting, fertilization, irrigation etc. ), soil carbon sequestration to a 3-foot depth, and theoretical biofuel yield from eight different sorghum production scenarios.